As we all know, the upcoming Photokina in September is already the center of rumours coming from all parts. I have been trying to give an idea of what could be coming for the major brands in the DSLR market, concentrating mostly on the new bodies to be seen. But there is no end to the list of rumours about lenses. So, let’s try to make a summary of the most common ones, with no order or no probability figures. Samsung NX line would receive 3 new lenses according to Korean DDaily: Pancake 20mm, 20-50mm zoom and Macro 60mm lens. Canon could come with 3 lenses of its own: Possibly including an EF 16-50 f/4L H-IS. Panasonic already announced a 3D lens for the micro-4/3 (Lumix G-series). It should be visible in September and available in December. Samyang (the new company you should consider for compatible lenses) is readying a 35mm f/1.4 with manual focus, for the Samsung NX line. 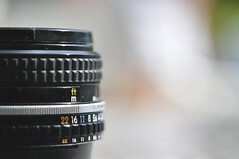 8mm (fisheye) and 85mm have been rumored too. Nikon is said to be preparing at least three lenses: Nikkor AF-S 85mm f/1.4G N, Nikkor 24-120 f/4 ED VR N, Nikkor 55-300mm f/4.5-5.6 ED VR DX. They could possibly add a 18-200mm f/5.6 or a 28-300mm f/5.6. Sony has already said that we will see a 500mm f/4 G (big grey tele-lens for rich pro photographers) and a wide-angle lens Zeiss Distagon T* 24 mm f/2 ZA SSM, but the rumour has that it will not be the only lenses for the Alpha series. Sony could also present one or two lenses for the NEX line, on top of the 18-200mm already promised for mid-September 2010. Of course, those could be announced a little before the Photokina show (brands try to steal the wind from the other by moving ahead of time).